I am a Great Courses addict (the picture above is my shelf for these courses gathered over the past 10 years or so). Rarely there is a time when I'm not listening to one in my car (oh-yes. I still use CD's!). In fact, one downside of us moving closer to Hampshire College is that it now takes me much longer to finish a course. I like these more than audio books as I prefer more structured material when I'm listening in the car. So I thought I'll recommend three recent courses that I recently listened to and loved (and for bonus, I'll throw two of my all-time favorite ones as well). And no I am not being paid by the Great Courses for these recommendations. One word of caution: You should only get the courses when they are on sale - and every course is on sale at least once a year. Otherwise, you will end up paying a fortune. 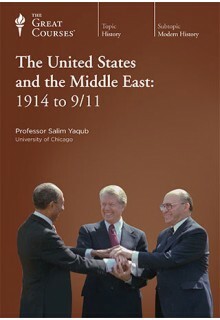 The first one is United States and the Middle East: 1914-9/11 by Salim Yaqub. The course is relevant and sets the stage beautifully from late Ottoman era and World War I to trace the role of the US in the Middle East. Couple of things that struck me: First, the absolute tragedy of the people of Palestine. Yes, we hear about this more in contemporary terms. But the way the British played a role in their displacement is still shocking. Second, the history of various US administration vis a vis Israel is utterly fascinating. I was struck by the fact that Kennedy was quite critical of Israel's nuclear ambitions. But Israel hid from the US the work it was doing on building a bomb. Of course, all of this becomes more ironic considering Israel's stance towards the Iranian nuclear program. Third, I think the discussion of Iran in the course is fascinating. It talks about the disdain that US officials showed towards Iranians ("they are just slow to get out of the way") who got run over by US automobiles - when cars were still relatively new. Also, the efforts - again by Kennedy - to reign in the Shah, and the complete cozying up to the Shah in the 1970s. Perhaps, the most fascinating part is about the various misunderstandings/miscalculations that led to the Iranian takeover of US embassy and its aftermath. 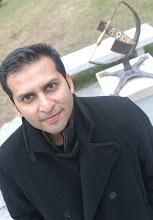 And perhaps most crucially, Salim Yaqub has the perfect tone and demeanor for this tricky political subject. It is also appropriate for the election year, as the course provides a broader lens onto the US foreign policy. At the dawn of World War I, the United States was only a rising power. Our reputation was relatively benign among Middle Easterners, who saw no "imperial ambitions" in our presence and were grateful for the educational and philanthropic services Americans provided. Yet by September 11, 2001, everything had changed. The U.S. had now become a "world colossus so prominent in the political, economic, and cultural life of the Middle East that it was the unquestioned target of those bent on attacking the West for its perceived offenses against Islam." 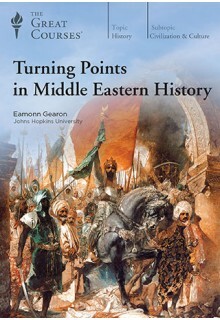 The second course is Turning Points in Middle Eastern History by Eamonn Gearon. I am currently going through these lectures. I was hesitant first that I will be familiar with much of the material. 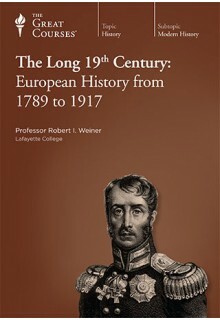 But I have been pleasantly surprised and it is spurring to read more about the various topics. Partly it is because Eamonn Gearon's specialty is North Africa and so he brings up parts of history that I'm not hat familiar with. Two examples regarding this: It was fascinating to learn that one of the graduates of the University of Qairouan - the world's first university - was Gerbert d'Aurillac, who introduced the decimal system and the Arabic numerals to Europe, and went on to become a pope (Sylvester II) in the year 999. Second example is that of the 14th century emperor of Mali, Mansa Musa. The Forbes magazine recently listed him as the richest man of all time. But it was fascinating to learn about his 2-year journey and how his philanthropy and other spending impacted the economies of the various regions he crossed, and created a myth about the riches of Mali, in particular, of Timbuktu. And needless to say, Eamonn Gearon is an excellent story teller. In this riveting inquiry, you’ll witness world-changing occurrences such as the birth and phenomenal rise of Islam, the expansion and decline of the Ottoman Empire, and the dramatic discovery of Middle Eastern oil. You’ll accompany the armies of Islam as they invade North Africa and Spain, forever altering civilization in those regions, and witness the Battle of Karbala, where Muhammad’s heirs—the Sunni and Shia—split once and for all. 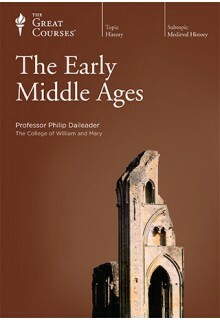 In the course’s middle section, you’ll discover the wonders of the Islamic Golden Age, and marvel at the superlative advances in astronomy, mathematics, medicine, and literature—and the preservation of classical Greek and Roman wisdom—that unfolded in global centers of learning such as Baghdad, Cairo, and Cordoba. You’ll follow the dynamic empire building of the Persian Safavids, the Egyptian Mamluks, and the legendary Ottomans, among others. The breakup of the Ottoman Empire yielded most of the modern states of the Middle East. The far-reaching impacts of its rise and fall, plus the long-lasting influence of the 18th-century Saud-Wahhab Pact—between a desert ruler and a religious reformer, creating today’s Kingdom of Saudi Arabia—are two more expressions of how the past suffuses the present. Throughout the course, you’ll rub shoulders with numerous remarkable people, including the brilliant and famously chivalrous Muslim general Saladin; Shajar ad-Durr, the only female sultan in Islamic history to rule in her own right; and the dashing Lawrence of Arabia, a key player at the birth of Middle Eastern nationalism. 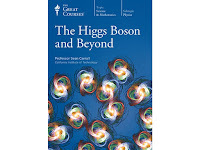 And I also wanted to recommend a short course (12 lectures) on The Higgs Boson and Beyond by Sean Carroll. This is of course a timely subject and it does a wonderful job of explaining why we should care about the Higgs Boson (and the Higgs Field). 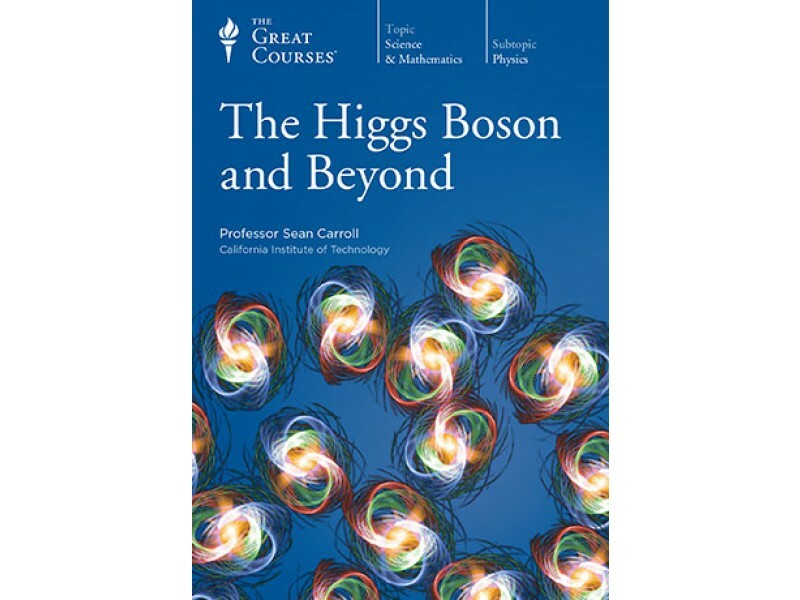 The subject matter can get a bit heavy in a one or two of the lectures in the middle - but don't give up - as it picks up again and provides a great overview of the state of current physics. physicists has succeeded in creating and identifying this all-important new particle, the discovery was justly celebrated around the world. 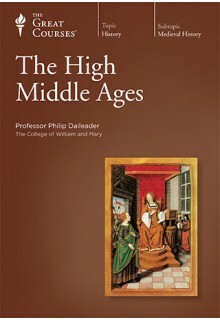 And for the second bonus course, I recommend a trilogy of Middle Ages courses, The Early Middle Ages, The High Middle Ages, and The Late Middle Ages by Philip Daileader. I absolutely loved these set of lectures partly because of the delivery of Daileader. He has a dry sense of humor and that works wonderfully for a material on the Middle Ages (I'm sure he is funny about contemporary events as well...but his passion comes out about the Middle Ages. 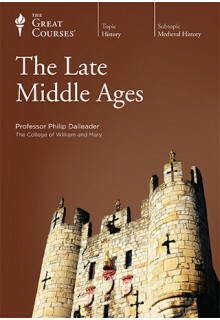 If you want to live in the Middle Ages for a few months - and I highly recommend that you - then do through these set of lectures (I think you can buy them as a set as well).